Healthy treats you can enjoy year 'round just about anywhere! 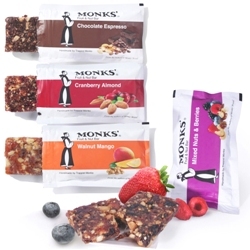 Variety pack contains two bars each of Chocolate Espresso, Cranberry Almond, Mixed Nuts & Berries, & Walnut Mango. 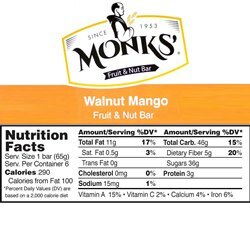 They're low in salt, high in fiber, and contain no cholesterol or trans fats, but are full of great taste and energy. Individually wrapped; 8 bars, net 1.4 oz. each. 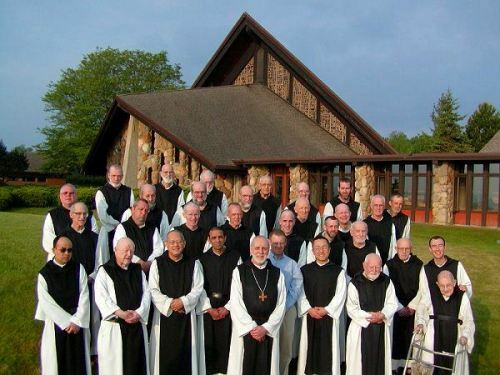 The Abbey of the Genesee is a community of over 30 contemplative monks belonging to the world-wide Order of Cistercians of the Strict Observance (O.C.S.O.) more commonly known as Trappists. The Abbey was founded in 1951 from the Abbey of Gethsemani, and is situated in the picturesque Genesee River Valley of Western New York. Within the monastic enclosure are some 1,200 acres of forest, ravines, rolling hills and a meandering creek. The monks are dedicated to the worship of God in a hidden life within the monastery following the Rule of St. Benedict. The monastic community supports itself by the common work of baking bread and other products. In addition, the brothers help out on the farm and with cooking, laundry, cleaning, hospitality, formation of new members, and care of the sick and elderly of the community. The community is cloistered and has no outside ministry. Guests are received for quiet, private retreats at the retreat house. Jul 24, 2018 | By LENNY V.
These bars are great. Tasty and different. Will certainly purchase again. I did not expect these to be as good as they are- a real treat. And they are well done and beautifully packaged. nice!!!! 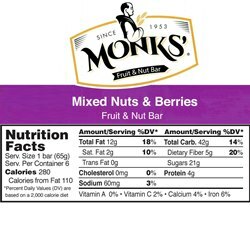 These made for a satisfying - but not too guilt-inducing - snack. The espresso flavor was an especially strong pick-me-up during a long day.